You’re sitting at a diner at 5 a.m., drinking the “world’s best cup of coffee” and enjoying a surprisingly satisfying stack of pancakes. But it’s early, and you’re tired. You could really use some inspiration to get going. 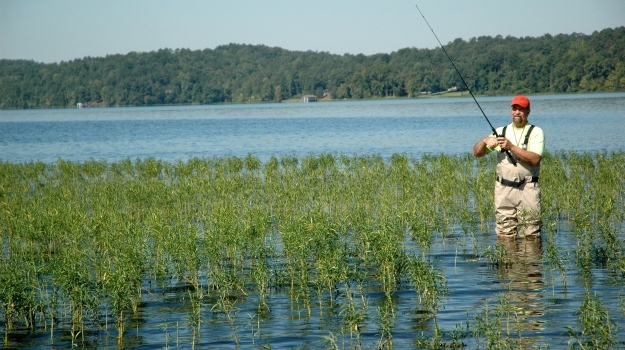 If you only had access to your favorite hunting or fishing show, you’d be raring to go. Imagine being able to watch your favorite hunting, fishing and outdoors shows while working through your flapjacks. Good news! Now, you’ll be able to access all your favorite Mossy Oak TV shows with Mossy Oak GO (MOGO) on your favorite streaming device for FREE. No membership required! If you’re tech-savvy, “Googling” something has undoubtedly become second nature. There’s definitely something to be said about parting ways with tech and experiencing nature the old-fashioned way but having access to a smartphone has significant benefits. If you find yourself scrambling for a vital piece of forgotten hunting or fishing information, you can simply look it up online (as long as you’re in a service area). Smartphones aren’t just for phone calls and the Internet anymore. Imagine beefing up on your trapping knowledge while waiting for that buck to show its face or teaching yourself how to tie a new fly while taking a lunch break on the shore of your favorite fishing spot. When you hear someone mention streaming, they’re talking about receiving data over a computer or phone network in a steady and continuous flow. Apps like Netflix, YouTube and Hulu are streaming-based. Unfortunately, these types of apps require memberships and monthly fees. Streaming services offer videos on demand, like our great Mossy Oak TV series. If you’re within your cellular network’s service area, you can stream your favorite shows right to your phone, just as if you were watching them on your own TV, at no cost to you. You need to be in your cellular provider’s service area to stream content, though some streaming apps allow you to download media onto your device before you watch or listen to it. Applications like Spotify, Kindle, Audible and almost any podcast app allow you to download music albums, books, audiobooks and podcasts to your phone via Wi-Fi or cellular data before you leave your service area. That way, you can listen to your favorite music, listen to hunting podcasts or read books even when you’re hundreds of miles from civilization. While cable locks you into a set of predetermined channels for a monthly fee, streaming gives you the freedom to watch what you want when you want, regardless of content. Unlike Mossy Oak TV, providers like Netflix, Hulu and Sling TV all have monthly fees. But even if you do end up paying for these types of services, or you decide to pay per-show on a platform like Amazon Video, you’re almost always guaranteed to save money. Generally, cable or satellite TV costs somewhere in the range of $100 per month. But if you cut the cord and switch to streaming services exclusively, you can start viewing for as little as $40 per month. And even if you do pay for shows or a series you love a la carté, you’ll likely still remain well below that $100 monthly average. More people are moving away from cable and using alternative formats to view their favorite shows. Mossy Oak TV is a perfect example of how great new media can be. When you stream our Mossy Oak shows via MOGO TV to your phone, tablet, computer or smart TV, you’re getting premium content without paying a dime. This gives you flexibility and convenience to watch from wherever you are on whatever device you choose. 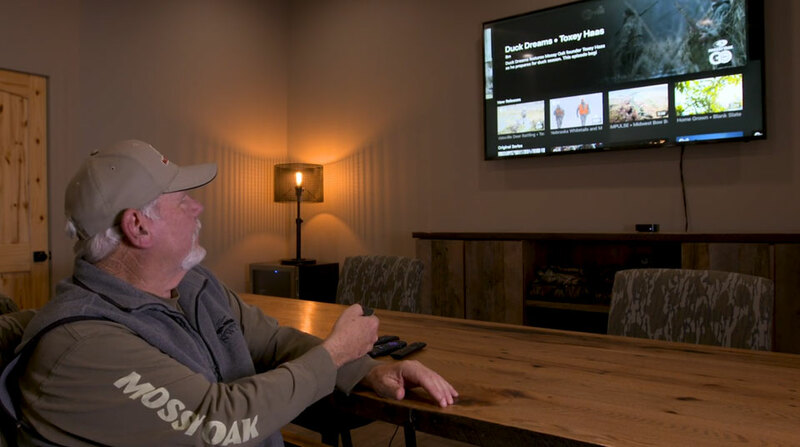 It’s affordable—Mossy Oak TV is free, while other streaming apps are far more affordable than even the most basic cable packages. It also allows you to customize and only pay for the shows you want to watch rather than wasting money on cable packages that include channels you never view. Technology makes our lives easier, and neither hunting nor fishing is immune to the magic of new media. There’s a bevy of fantastic apps geared explicitly toward hunters, outdoorsmen and fishermen—applications that offer you information you never knew you needed as well as inspiring and educational entertainment. Once you have access to this sort of media, you’ll wonder how you ever did without it. Mossy Oak is excited to announce that we’ve launched our own streaming app for hunting enthusiasts, outdoorsmen and fishermen. Now, you’ll have access to your favorite hunting, fishing and outdoors videos in one easy-to-use application on your phone, tablet or any other smart device. 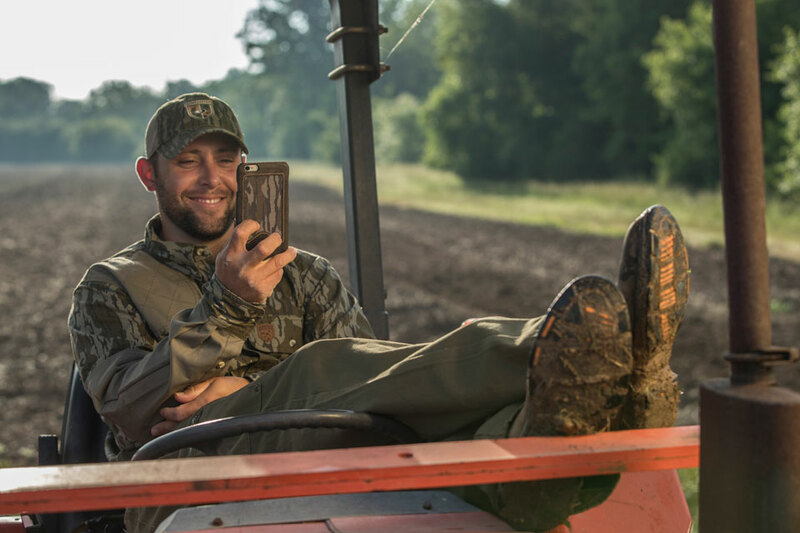 If you’re as crazy about our Mossy Oak TV shows as we are, you’ll find an abundance of content on our app–all for free! Our extensive library of hunting, conservation and outdoor lifestyle videos, along with exclusive content is the perfect inspiration for your next call to the wild. When you install the MOGO app on your device, you’ll have access to outdoor information, education and entertainment wherever you are. Excited as we are? Mossy Oak Go is live! You can download our app on any device you own—your phone, tablet, computer, smart TV or gaming console. Want to download on your phone and take us everywhere you go? Head over to the Google Play Store for Android devices or Apple App Store for iOS products. Ready to save money, cut the cable cord and exclusively stream content? Pick the best streaming player for your needs. There is a variety, like Apple TV and Roku. But check your TV first. If you already own a smart TV, chances are it came with preloaded streaming services, so you may not need to purchase any additional hardware to ditch cable at all. Once you cut the cord, you’ll need to subscribe to a streaming service or two of your choice, like Netflix, Hulu or Amazon video. And you’ll always have MOGO to ease your transition–always there and always free! Your mock scrape will be far more effective if you put it in an area that is already being used by deer, even if current use is relatively light. Mossy Oak GO allows users unlimited access to our extensive library of rich, outdoors video content, designed to educate, entertain and inspire viewers. MOGO features multiple pieces of new, original content added weekly. Unlike most video apps, MOGO is 100% FREE.